Soft gel shell (beef gelatin, glycerin, water), soybean oil. Soybean oil. Soft Gel Shell: Beef gelatin, glycerin, water. Contains fish (cod). Take 1 softgel one to three times daily, at mealtime. 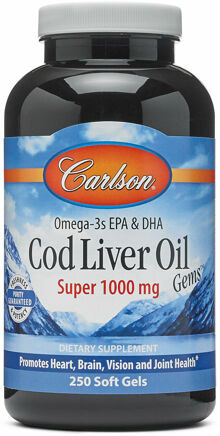 Rich in Omega-3's, EPA, & DHA!